Frithjof has recently been appointed to the Chair in Marine Biodiversity at the University of Aberdeen, after previous appointments at the Scottish Association for Marine Science (SAMS; initially as Lecturer and Head of the Culture Collection of Algae and Protozoa from 2003 until late 2008, then as Reader). Over the past 20 years, he has studied the chemical ecology, physiology, biochemistry and biodiversity of aquatic and marine plants/algae, especially in the context of biotic / abiotic stress and biogeochemical cycles, resulting in the publication of 60 peer-reviewed papers and 3 book chapters. At pre-university level, he won international recognition with First Prizes at the European Community Contest for Young Scientists and at the Young Europeans' Environmental Research Competition. He received a French-German Ph.D. on brown algal stress responses and pathologies (1998-2001), working at the CNRS – Station Biologique de Roscoff (France), the University of Konstanz and at the Université de Paris-Sud XI / Orsay, supported by fellowships of the German Academic Merit Foundation (Studienstiftung des deutschen Volkes) and of the European Commission (Marie Curie doctoral fellowship). He further studied the role of microbial metal chelators in marine ecosystems as a post-doctoral fellow at the University of California, Santa Barbara (2001-3), where he remained a visiting professor in the Dept. 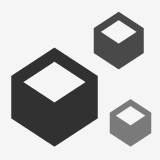 of Ecology, Evolution and Marine Biology (EEMB) until 2010. Besides pathologies, he is interested in algal halogen metabolism and the atmospheric impact of algal halogen emissions. This work resulted in the first-ever description of an inorganic antioxidant in a living system, iodide in kelp, and was selected as one of the 100 Science Stories of the Year 2008 by DISCOVER Magazine. He has conducted and participated in expeditions and field trips with a scope in phycological / marine research throughout the world, notably to the Shetland Islands, French Polynesia, Malaysia, Chile, Argentina, the Falkland Islands, Japan, California, Ireland, Greece, Cyprus, the Canadian Arctic, and, most recently, Antarctica (Adelaide Island) and Ascension Island. 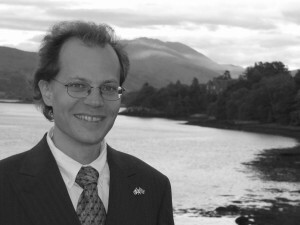 He has been a member of the Editorial Board of Marine Biotechnology from 2004-2010 and he currently is a member of the Editorial Board of Algae, the Peer Review College of the UK Natural Environment Research Council, and he was a member of the Council of the British Phycological Society from 2004-2007. Frithjof is fluent in English, Modern Greek, French, and German. Within the framework of this project in Ascension, Frithjof (jointly with Kostas Tsiamis) is particularly interested in establishing an inventory of Ascension’s macroalgae and in understanding some of the major questions of algal benthic ecology around Ascension, including why coralline red algae (rather than corals) dominate much of the benthos, and whether deeper parts of the euphotic zone of Ascension’s benthos might harbour kelp populations. 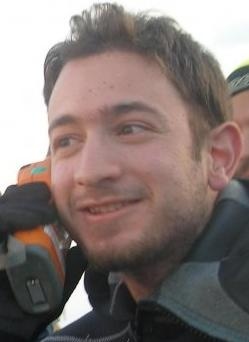 Simon graduated from Swansea University in Environmental Biology, sharing a room, for one term, with Dave Barnes, before heading to Ireland delivering research support to Matt Murphy at Sherkin Island, where he led the Littoral Flora and Fauna survey team, red seaweeds his specialisation. Refocus set him towards the Royal Military Academy Sandhurst; successful commission sent him to far flung destinations with the Royal Logistics Corps including Belize, Kuwait, Iraq, Bosnia, Northern Ireland, Sierra Leone, Afghanistan and finally to the Falkland Islands. 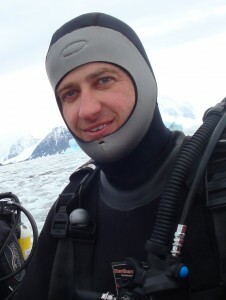 His passion for marine biology never far from the meniscus; enthralled by the biodiversity of places such as Belize, Falklands and UK, diving is central to his core interests. 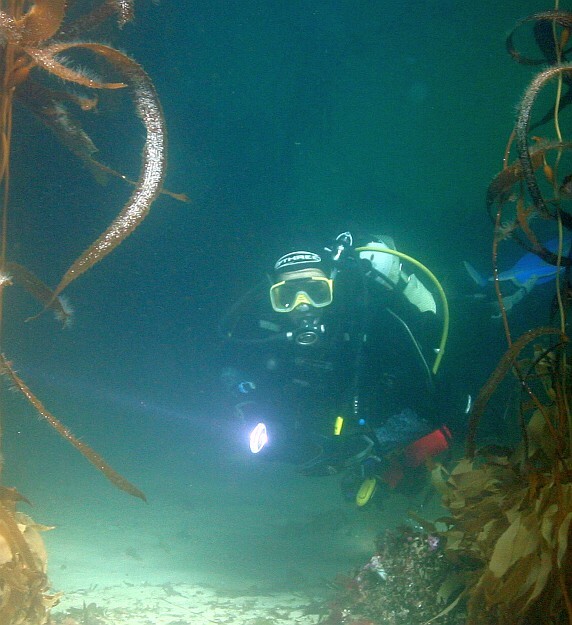 Whilst in the UK he enjoyed contributing to Seasearch UK diving around the south coast recording worm casts, biodiversity and marine habitats. A diver of over 24 years he is a BSAC Dive Leader and boat handler. Simon has been diving regularly with both the Shallow Marine Surveys Group and the Falkland Island Sub Aqua Club for the last 12 months, fascinated by the diverse marine life and enthralled by the Fur Seals and Sea Lions. The opportunity to be part of an auspicious scientific diving project to Ascension Island will undoubtedly be a pinnacle event and leading the contribution to logistic planning professionally satisfying. Sarah has been living in the Falkland Islands for just under 12 months, coming here with her husband Simon in August 2011 on a 2 year tour. She is the Falkland Islands Sub Aqua Club (FISAC) Treasurer and Secretary. 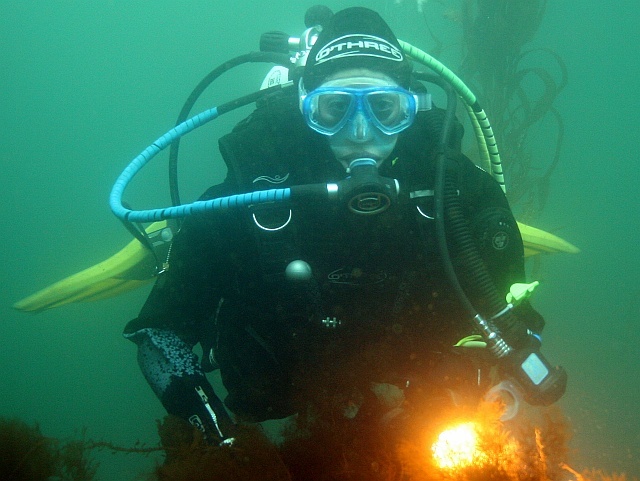 Sarah has been diving since 2004, diving all over the world in wonderful locations such as the Maldives, Oman, Tobago, Malta and the UK from Scotland to Cornwall to the beautiful Pembrokeshire coast. A keen conservationist, Sarah has undertaken a number of dives with Sea Search UK around the south coast enjoying activities such as recording marine life and habitats and helping to mark out an artifical reef. She was also a volunteer with the Episkopi Turtle watch in Cyprus during a three year posting there where, amongst other things, she enjoyed the excitement of camping overnight on beaches waiting for turtles to come ashore to lay eggs. Since arriving in the Falklands Sarah has been diving regularly with both the Shallow Marine Surveys Group and the FISAC, enjoying the pristine South Atlantic waters and diverse marine life, as well as slowly overcoming her fear of very large sea lions close up! A BSAC Dive Leader, Assistant Instructor and Boat Handler she is looking forward to participating in this exciting project and getting some Ascension Islanddives in her dive log. British Antarctic Survey, Cambridge, UK. Simon Morley is a marine ecophysiologist at the British Antarctic Survey (BAS) with nearly 20 years experience of physiology research. He has published 40 research papers and book chapters. During this time he has conducted marine surveys and collections in tropical, temperate and polar oceans, gaining a broad knowledge of fauna in diverse assemblages from deep Antarctic walls to tropical reefs. He has published papers on the physiology of fish, bryozoans and molluscs. Simon is an experienced dive instructor with over a thousand logged dives on all seven continents and hopes to bring this experience to the team.